Implant is a surgical procedure, apparently quite traumatic. In fact, it is not true, at all. 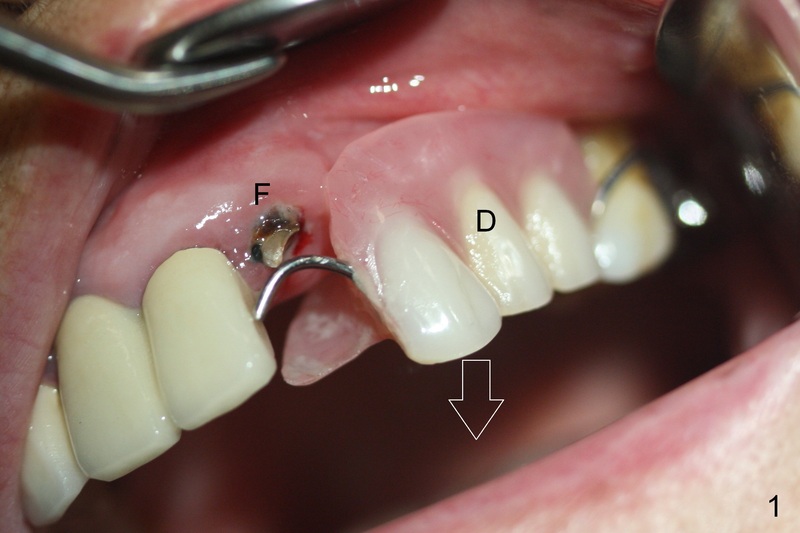 A 84-year-old lady has a traditional partial denture (Fig.1 D). Suddenly one of supporting teeth (F: front tooth) is broken down. The partial is not stable, dropping (arrow). The poor senior cannot eat well. Traditionally, the broken tooth needs extraction. One denture tooth is added to the denture, which will be more unstable. Or the remaining teeth are to be extracted and a complete denture is made. The latter procedure is the most traumatic procedure. 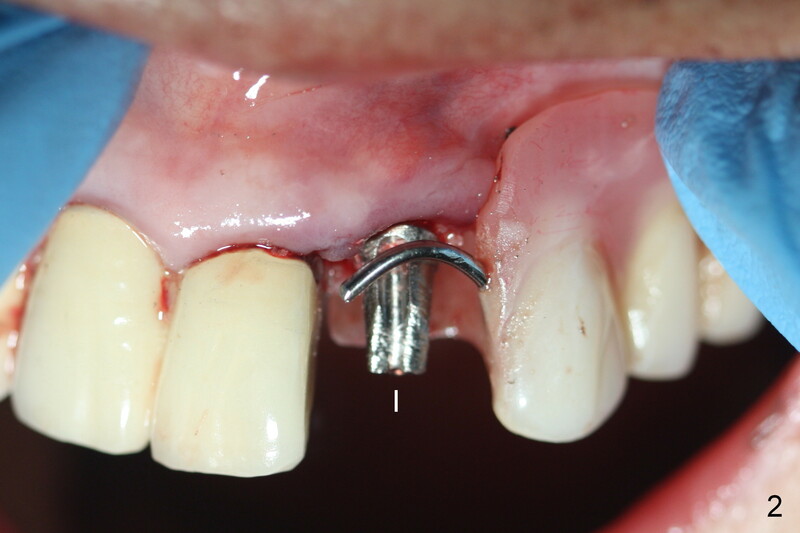 In contrast, an immediate implant (Fig.2: I) is placed after extraction for the lady. 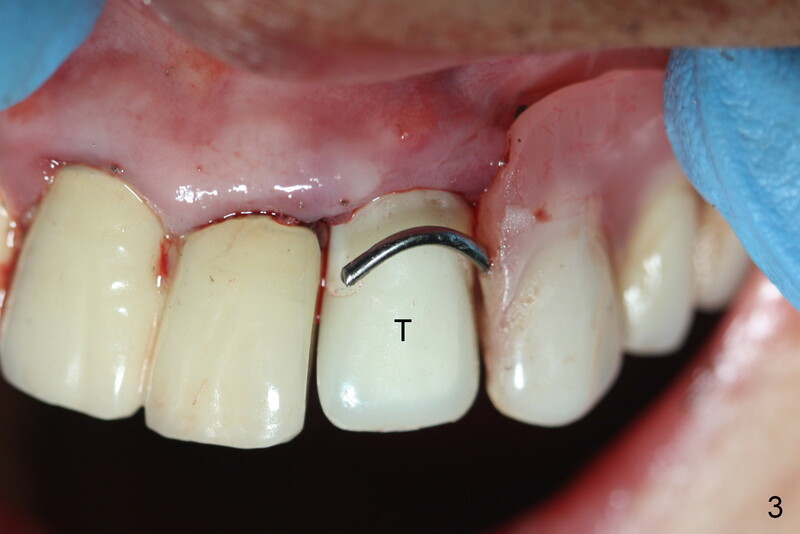 An immediate temporary crown is made (Fig.2 T). The partial denture instantly becomes stable. There is no tendency for the partial to drop. The patient and her family are pleased. There is minimal bleeding (Fig.2,3). What's more, there is no pain after the surgery.